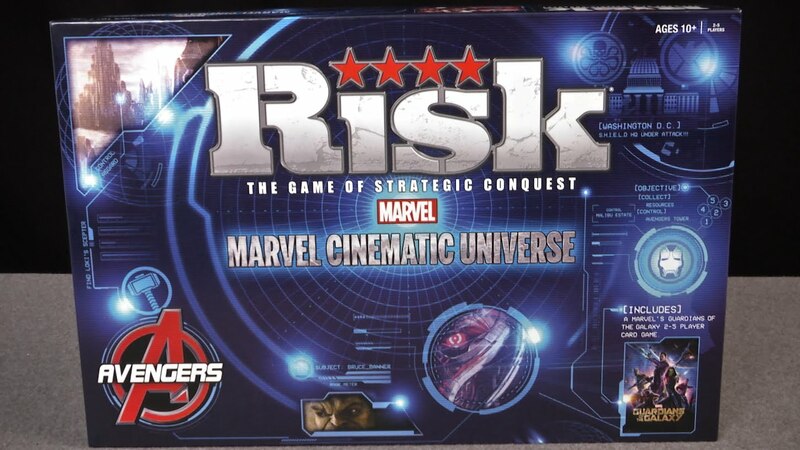 Marvel Cinematic Universe RISK Game gives you a great satisfaction when mastering this board game. Hasbro’s RISK games have been around since 1957 – so a lot of us have gotten pretty darned good at it too! RISK is a game of many variations, so the replay value is high. 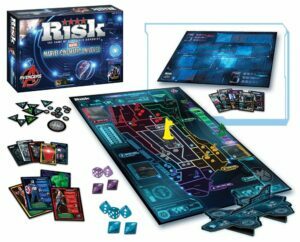 The company upped the ante on that score over the years, releasing a large number of themed variants on the game, from RISK Metal Gear Solid to RISK Star Wars Edition. 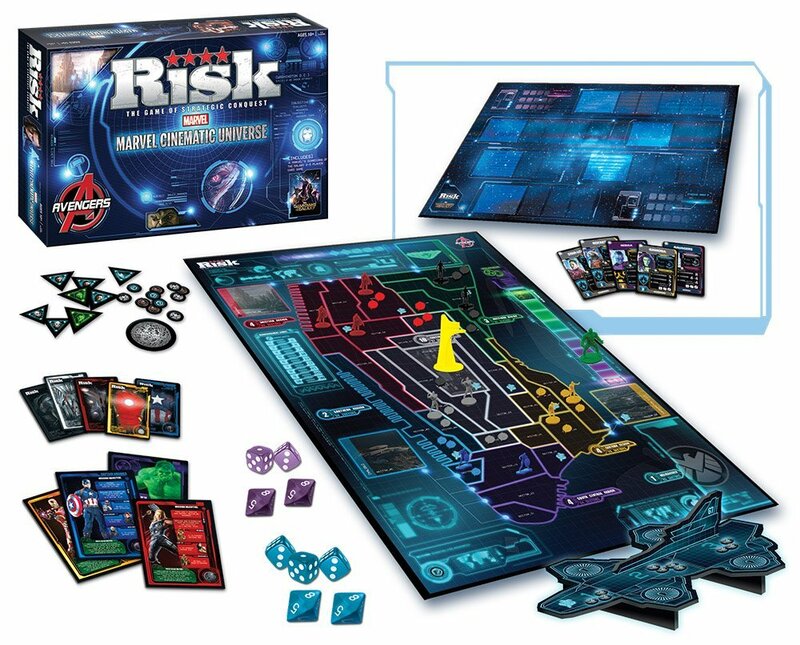 It seems like there is a RISK for every fandom these days, and fortunately for us, Marvel Comics has joined the fray with the release of a RISK game set in the Marvel Cinematic Universe. There is, of course, a huge difference between the Marvel Cinematic Universe, and the Marvel Comics Universe, so be aware going in that this is specifically themed after the wildly successful string of blockbuster films that began with Iron Man and gave us The Avengers: Age of Ultron. So for RISK fans who are also into Scarlett Johannson’s take on Black Widow and Chris Evans’ super sincere Captain America, this is a very tempting buy. I took a crack at the game over the weekend with two very good friends – let’s call them Mustachio and The Furious Hobbit – and wanted to share my thoughts. Let’s start with the way the thing looks, shall we? I’ve been into miniatures my whole life, so I was excited to find that this game shipped with miniatures of the heroes, villains, and Hulks that make up the MCU. Regrettably, they’re plastic, not die cast, but still, very attractive. There are miniatures of Captain America, Iron Man, Black Widow, Winter Soldier, and Iron Man – and a slightly less miniature of The Hulk, who is not player-controlled and works like a sort of Deus Ex Manhattan in this game. There’s also a great sculpted Stark Tower. 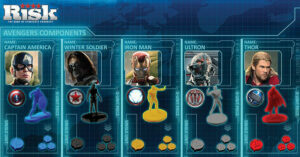 The game board itself is attractive as well, seemingly designed along the color palette that permeates the Avengers films. Another cool point, in my opinion, is that the game is actually multiple games – on the reverse side of Manhattan is a board that allows you, as Guardians of the Galaxy, to vie for control the Orb – which all of us nerds know is an Infinity Stone. So it’s kind of like getting multiple games for the price of one. There are cards, dice, and troop tokens, as well – all the pieces you need to lay out and execute a strategic good time. Rather than battling across a big political world map, you’re battling through the city of Manhattan, which, for our purposes, has been split into sectors that await your conquering forces. The cards are known as Faction Cards, which, in the traditional skirmish version of this game, is the “draw deck.” The dice are there to roll for the attack and defense capabilities of your troops, which we’ll go over in a minute. The teams in this game are split into five Factions, each led by a different character from the Risk Marvel Cinematic Universe. This means you get to choose whether your army will be led by Captain America, Iron Man, Thor, The Winter Soldier, or Ultron. Those last two are villains, for those of us in the know, while the other three are members of the Avengers. There are differing victory conditions for each team, but the game doesn’t really end until someone controls 20 sectors of Manhattan. Setting up is pretty familiar, to anyone who has actually played RISK in the past. At the beginning of the game, all of the players take turn placing troops on the board until everyone has occupied a Sector. If you have troops to place but there are no more playable locations to choose from, you get to draw a card from the Faction deck. That’s a critical strategic move, because the Faction cards are determinant factors when you bring in reinforcements each round. Gameplay works very simply: there is a set order of play, and you select troop tokens, move them into other sectors, and then roll your dice against the defending player’s dice to determine who wins the battle you’ve initiated. The losing player removes a troop token from the board, and the winner draws a card. When you’ve cleared a sector of enemy troops, it’s yours. One of the things I wasn’t wild about was the set order of play. Unlike the old game of RISK, where strategy was nearly infinite, this game feels like it has a more limited set of options. Also, if you’ve sat down to play, as Mustachio, Hobbit and I had, Faction selection at the outset can leave you in the uncomfortable position of either not playing in clockwise order (you know, like gentlemen!) or of getting up and changing seats. It’s a pain moving all that Chinese food and Mountain Dew around, I can tell you. 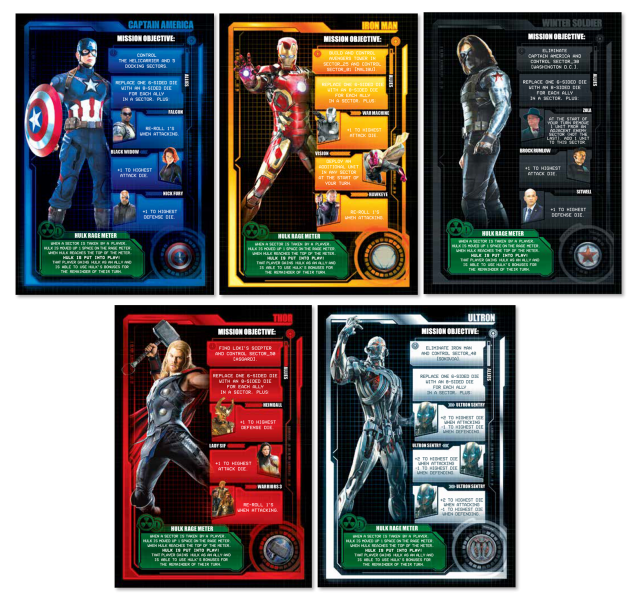 Getting back to the cards – they are a pretty key strategy point in RISK: Marvel Cinematic Universe. 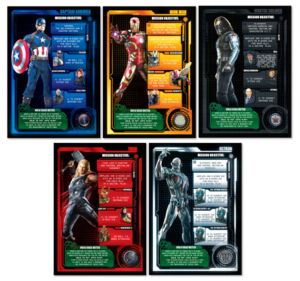 Reinforcements are the most important factor in any game of RISK, and the cards – each emblazoned with a set number of Avengers symbols – are the fastest and most effective way to get soldiers on the ground. So, unlike other variants I’ve played, this edition of RISK didn’t introduce any new strategic moves. The Hulk is a big change, but he’s less strategic and more Act of Nature; other than that, you are playing a pretty traditional game of RISK, just with a lot of cool added flavor. It’s very satisfying, and a thoroughly enjoyable gaming experience. For players who’ve simply tired of the same old map, this is a great way to play the game you love with a new twist. I would encourage Marvel fans to give RISK Marvel Cinematic Universe a whirl. Frankly, the miniatures alone might be worth the game’s price, and when you take into account that you can play an old-school skirmish, the Battle for Manhattan variant, or the Guardians of the Galaxy game on the flip side, you’re getting a lot of game for your money.